Welcome to the Saint Michael Music hub page with links to all of our various music ministries, both traditional and contemporary! 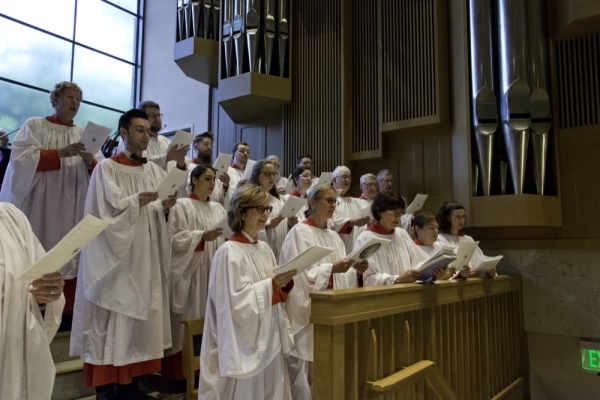 The music program at Saint Michael and All Angels has a reputation for excellence throughout the Episcopal Church and within the greater Dallas community. Our Choirs, led by acclaimed, award-winning organist/choirmasters, beautify our worship and lead us in congregational singing. The church’s music program offers unique choral singing opportunities for young children, youth, and adults. 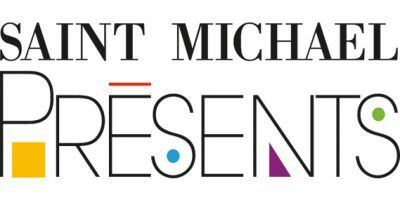 Saint Michael Presents provides high quality entertaining concerts open to the public free of charge throughout the year. These are dates when an additional 5:30 p.m. service meets in the Church, Choral Evensong! Jonathan Ryan began serving at Saint Michael and All Angels in September, 2017. At Saint Michael, he directs the Saint Michael Choir, oversees the founding and growth of a new boys and girls chorister program based on the Royal School of Church Music, established the professional Compline Choir, heads the Saint Michael Presents concert series, and oversees music for all traditional worship services. Jonathan came to Saint Michael from one of the largest music programs in the national Episcopal Church at Christ Church in Greenwich CT. Among Christ Church’s nine choirs, he directed the adult choir in Choral Masses, Evensongs, Requiems, and concerts, regularly worked with the Choir of Men & Boys and Girls Choir, directed the Royal School of Church Music-based ribbon training program for choristers, oversaw the Choir Assistant program for youth to serve in assisting roles in the program, and assisted in choir tours and summer choir camps. He has previously held positions at the Episcopal Church of the Holy Spirit in Lake Forest IL, St. John Cantius Church in Chicago IL, St. Anne Church in Rochester NY, and served as Visiting Artist at St. James Cathedral in Chicago. Additionally, Jonathan has commissioned and conducted new choral works by composers such as multi-award winning American composer Zachary Wadsworth and renowned British composers Philip Moore and Colin Mawby. Jonathan enjoys an international reputation as one of the premiere young American organists. Acclaimed by audiences and critics alike for his strong communicative skills in numerous styles, he holds exceptional distinction of six First Prize awards in major international and national organ competitions, most notably the 2009 Jordan II International Organ Competition. His solo concertizing has taken him to celebrated festivals, venues, and conventions throughout the United States and Europe, including St. Paul’s Cathedral in London (UK), the Nicolaikirche in Leipzig (Germany), the Cathédrale St-André in Bordeaux (France), international organ festivals in Zürich (Switzerland) and Hamburg (Germany), and national conventions of the American Guild of Organists and Organ Historical Society. His recent performance projects include recitals of J.S. 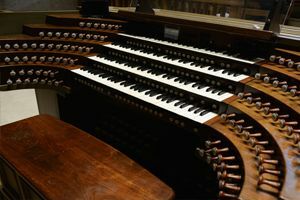 Bach’s monumental Clavier-Übung III in a tour on historically-based organs throughout the United States. His released recordings include two solo organ recordings, the most recent of which, entitled Influences on the independent boutique label Acis, received the rare honor of nomination consideration for the 2017 GRAMMY awards. Jonathan’s solo recordings include commissions and recording premieres. He is also featured on multiple choral recordings from St. John Cantius Church in Chicago, IL. Born into a musical family in Charlotte, NC, Jonathan first began playing the organ at age eight, and grew up singing as a treble boy chorister. He discovered a love for Anglican liturgy and music in high school, and previously lived in Texas while an undergraduate student at Baylor University. Jonathan then went on to earn degrees from the Cleveland Institute of Music and the Eastman School of Music. His primary teachers include Joyce Jones, Todd Wilson, David Higgs, William Porter, and William Weinert. He also holds the Fellow (FAGO) and Choirmaster (ChM) professional certifications from the American Guild of Organists, for which he earned the 2006 Choirmaster Prize for the highest score nationally in the Choirmaster exam. He currently serves on the National Committee for Professional Certification for the American Guild of Organists. For the past decade, Saint Michael Director of Contemporary Music, Justin Brooks, and his wife Tiffany have followed a calling to lead music and write liturgical songs for the Church that reflect the seasons of life, worship, and needs of their local congregations. 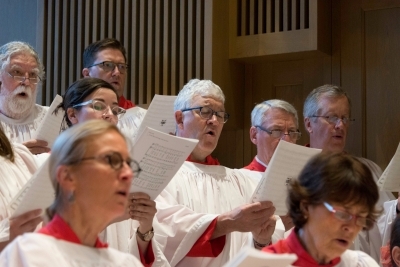 This often manifests itself as the composition of sacred songs, settings of scripture, and reinterpreting traditional hymns and service music with faithful, yet new arrangements. Excerpted from the September / October 2018 issue of Archangel. Read the full article here! Organist Margaret "Meg" Harper has performed across the U.S., Europe, and Asia. Croatian newspaper Glas Slavonije writes, “The freezing cold of a January evening dominated the cathedral in Djakovo, but it could not diminish the richness and warmth of sound brought out of the cathedral organ by Margaret Harper.” Margaret has performed solo recitals at such prestigious venues as Harvard University, the Cathedral of St. John the Divine (NYC), and St. Paul Cathedral (Pittsburgh). Before coming to Saint Michael and All Angels, Margaret served as the Director of Music and Liturgy at St. John’s Episcopal Church in Portsmouth, NH, the largest Episcopal church in that state. In her time at St. John’s, Margaret oversaw a dramatic expansion of all aspects of the church’s music program. Under her direction, the church developed The Choir School at St. John’s, an after-school RSCM-based music program aimed at low-income youth. In its first three years, the Choir School has received several significant accolades, including the opportunity to premiere a newly commissioned work at the prestigious Newburyport Chamber Music Festival and an invitation to serve in residency at Bristol Cathedral in England. In addition, Margaret has also served as Artist Faculty in Organ at the University of Southern Maine, on the faculty and board of the Young Organist Collaborative, and as a secondary instructor of organ at the Eastman School of Music. She has presented papers at national and regional conferences of organizations including the American Bach Society and the American Guild of Organists. Margaret holds a Doctor of Musical Arts degree and a Performer’s Certificate from the Eastman School of Music. Her primary teachers include William Porter, David Higgs, Michel Bouvard, Edoardo Bellotti, and Edward Zimmerman. She is active in the Association of Anglican Musicians and served on the planning committee for that organization's 2019 conference in Boston. She has served in many leadership roles for the American Guild of Organists, most recently as District Convener for NH, ME, and VT.
Owen Reid became Saint Michael’s first Organ Scholar in August 2018. Taking its name from parallel positions in English collegiate chapels, Organ Scholar is a part-time appointment for the program year designed to go hand-in-hand with a degree program. As Organ Scholar at Saint Michael, Owen will assist in organ playing, conducting, working with our choirs, and helping realize the music program’s continued growth. He is currently pursuing a Master of Music in Organ at Southern Methodist University. A native of Oklahoma, Owen earned a Bachelor of Music degree in Organ Performance and Literature from the Eastman School of Music. He recently finished a Master of Music in Choral Conducting at the University of Cambridge (UK), St. John’s College, where he worked with some of the most renowned English choral conductors. While in Cambridge, he served as Graduate Organ Scholar at St. Catherine’s College where his experience includes working with the only school-aged girls choir in a Cambridge college. Coming from the Latin completorium from which we have our word "complete," this meditative service is designed as the concluding prayer of our day. 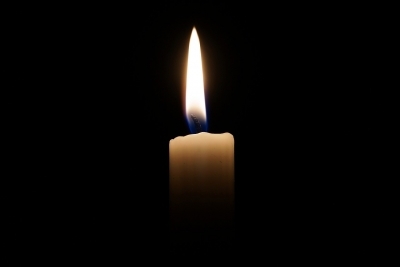 Lasting less than 30 minutes and in our candlelit church, Compline centers around the Psalms, Scripture, and prayers taken from Scripture (including the Nunc Dimittis - the Song of Simeon). Unaccompanied music by the Compline Choir is primarily Gregorian chant and Renaissance polyphony. The particular liturgical aesthetic of our Compline is aimed at concluding our weekend with reflection, calm, and peace.